Here at Mountain Kingdoms, we were all very concerned to see the havoc that the floods wrought in Kerala in August last year. We were keen to find a small grassroots charity that would be able to actively assist those affected, and were pleased to be able to donate funds to Kerala Partnership (KP) who were already on the ground and ready to help. Some of our clients also generously donated to Kerala Partnership, and along with our donation, we are delighted to learn that KP have been able to engage builders to re-build the home of Suma, a widow living alone .Her house was originally made of mud bricks and was completely washed away when the nearby river broke its banks and flooded the surrounding land. As you will see there is quite a difference to the pile of corrugated iron which was all that was left of Suma’s house to the new more robust home constructed for Suma. 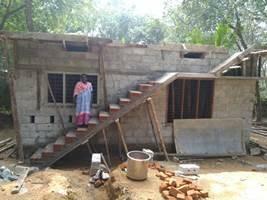 We hope that Suma will be able to move into her new home shortly and we will keep you updated on progress. A huge thank you to those clients who supported this campaign, and thanks are obviously due to KP who initiated this vital work. 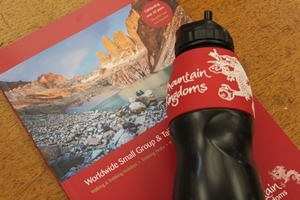 Here at Mountain Kingdoms we have teamed up with the revolutionary company, Water-to-Go, which has developed a multi-use drinking bottle with a filtration system that eliminates over 99.9% of all microbiological contaminants including viruses, bacteria, chemicals and heavy metals from any non-salt water source.A filter will typically filter 200 litres or last for approximately for three months of daily use. Any drinking source can be used from a tap in a hotel bathroom, to a stream or even a puddle! We were very saddened to see the devastating effects of the severe flooding in Kerala in Southern India last month. It is a destination which is very popular with Mountain Kingdoms’ clients and although none of our tours are affected, there are areas which have been truly devastated by the catastrophic flooding. 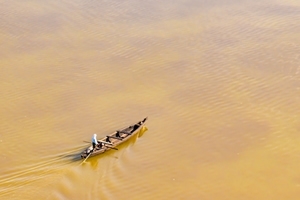 Join Kidasha Trustee, Liz Waterman, on one of two life-changing fundraising adventures in Nepal. Trek through remote locations within the Annapurna region, explore the Kathmandu Valley and gain an in-depth insight into the real Nepal whilst walking through untouched villages and uncovering wild and wonderful national parks.